Meningitis is a disease that occurs when the meninges (coverings of the brain) become inflamed. The disease is caused by a bacterial or viral infection of the fluid surrounding the brain and the spinal cord. The disease causes symptoms such as intense pain, sensitivity to light, convulsions, fever, stiff neck, fatigue, nausea, vomiting, muscular rigidity, and other related symptoms leading to death. However, medical breakthroughs have led to the discovery of the meningitis vaccine. The meningococcal vaccine protects you from four types of bacteria that cause meningococcal disease, pneumonia, and blood infections. It is recommended that people get the meningitis vaccine because 10% to 15% of the affected people may die even if they have been treated with antibiotics. Approximately 20% of the victims who survive may develop some long-term problems such as brain damage, hearing loss, loss of limbs, or seizures. People working in the military, those working in meningococcal research labs, those living in dorms (especially for first-year students), those with damaged spleens, and also those taking eculizumab (Soliris). In addition, when traveling to areas such as certain parts (Sub-Saharan regions), it’s important that one gets vaccinated against meningitis. In general, experts recommend that people younger than the age of 55 should get the meningococcal vaccine because they are prone to contracting meningitis from intense social interactions. The most common vaccine is the meningococcal conjugate vaccine (MCV4), which is sold as Menactra, Menveo, or Menhibrix. Alternatively, you can get the meningococcal polysaccharide vaccine (MPSV4) as well. The MPSV4, which is sold as Menomune, is the only approved vaccine against meningitis for people older than 56-years-old. The former is recommended for people younger than 55 years, although they can also use the MPSV4 vaccine. The MVC4 and MPSV4 prevent the four common types of meningitis in the world. 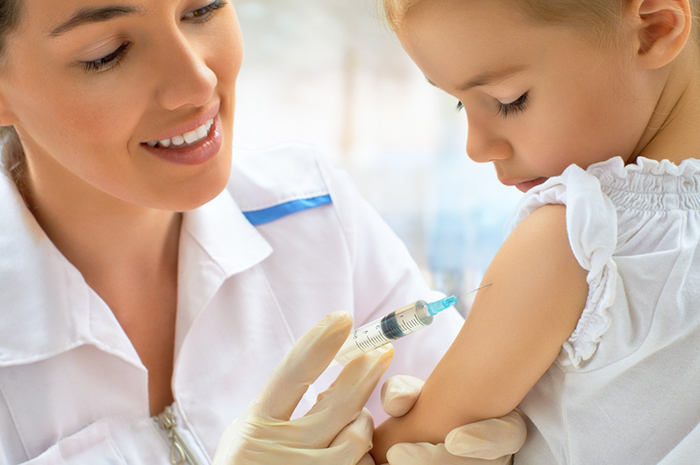 Another meningitis vaccine named MenB prevents against the Meningococcal B strain. Experts recommend that people get immunized against meningitis at the age of 11, followed by another dose at the age of 16. The vaccination requires an injection of an appropriate dose into the muscle. Rare types of the vaccine, such as Trumenda and Bexsero, are administered in three or two doses respectively. Those who have had severe allergic and life-threatening reactions to the vaccine before and those who have suffered from the Guillain-Barre syndrome should not get vaccinated. People who are moderately or severely ill should also not get the meningitis vaccines. However, pregnant women who are at risk of the disease or have had significant immune suppressions are okay to receive the vaccine. There are some side-effects that occur in about half of the people who get vaccinated against meningitis. The side effects may include pain and redness at the injection site; an effect which lasts less than 2 days. However, serious side effects such as body weakness, high fever, and a change in behavior may occur. In rare cases, the side effects or allergic reactions can range from paleness, fast heartbeat, hives, and trouble breathing. In case one develops any of these symptoms from meningitis vaccines, they need to see a doctor right away.